Home › News Updates › 1MDB: What Is The Fuss All About? 1MDB: What Is The Fuss All About? The recent and sudden resignation of the CEO of 1Malaysia Development Berhad (1MDB), Mohd Hazem Abdul Rahman has set many tongues wagging, and keyboard warriors typing. 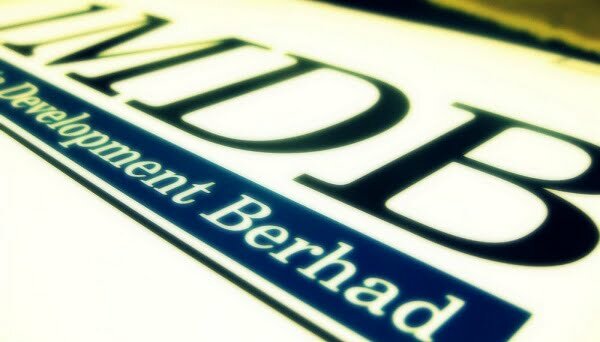 So, what exactly is 1MDB, what does it do, and what is its function? A brainchild of Prime Minister Datuk Seri Najib Tun Razak, 1MDB is Malaysia’s second sovereign wealth fund after Khazanah Nasional Bhd. The organisation is set up to drive economic development in Malaysia by promoting global partnerships, drawing foreign direct investment and participating in sectors that help drive socio-economic growth. Although 1MDB is a Government-owned company, it has an independent management team that combines Government’s support with private sector expertise and capital to unlock potential value. It has drawn its fair share of criticism since its inception. Some of the questions brought up by the rakyat and politicians are the heavy debts the organisation has accumulated, its use of money and its opaque operations. Three CEOs, three auditors and two chairmans in five years, the company is still mired in debts amounting to RM42 billion. Most are questioning the motive behind the sudden change of CEO and the need for a “strategic review” in the midst of completing a massive US$3 billion initial public offering for its energy division. Within these five years, the organisation has also replaced its external auditors for the third time after the company was late in submitting its accounts in 2013. The company started out with Ernst and Young, then KPMG, and most recently Deloitte. While a lot of people are upset with 1MDB many of us don’t really understand what the deal is with 1MDB when it comes to the debt they’ve built up and how they got there. The main talking point when it comes to 1MDB is the enormous debt the company has managed to rake up in mere five years. It is not a small sum, RM42 billion. 1MBD failed to pay RM317.3 million for a land acquisition from Tadmax Resources Bhd despite repeated extensions. 1MDB is still unable to make payment for the balance of the transaction after the initial 10% deposit, despite shifting the deadline from August 20 to September 30 to October 10 and then to October 31. Based on an article published on The Edge Financial Daily, the company was said to have missed its December 31, 2014, deadline for settlement of a RM2 billion loan, and had received an extension of up to January 30, 2015 to settle the outstanding payment. The RM2 billion amount was part of an RM5.5 billion debt taken through its subsidiary Powertek Investment Holdings Sdn Bhd in May 2014 to refinance a RM6.17 billion bridging loan taken in 2012 to part finance the purchase of power assets. There are also claims that 1MDB overpaid top businessman, Ananda Krishnan with an RM8.5 billion on the acquisition of his power assets in 2012. Latest news from The Malaysian Insider revealed that Krishna to loan the beleaguered 1MDB as much as RM2 billion to help the strategic investment fund settle a debt obligation to Malayan Banking Bhd and RHB Bank Bhd due at the end of this month. Controversies also highlighted the over-priced cash purchase of Tanjung and Genting Sanyen independent power producers (IPP). Another issue was 1MDB’s action to build two power plants in Malaysia, which were not even required yet to meet energy demands. Also, the whereabouts of the investment yields from Cayman Islands in 2012 amounting to RM1.63 billion (from an investment of RM6.25 billion) has been questioned as this amount could have used to clear off a portion of the debts. These are just some of the controversies that surround 1MDB. 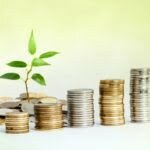 These issues caught the attention of our former Prime Minister, Tun Dr. Mahathir, noting that he fails to understand the significance of having 1MDB as a sovereign wealth fund if it does not denote wealth, and instead accumulates debt. He was also stern that debt incurred must be paid. 1MDB’s controversies have drawn concerns from various parties, especially on the overall financial stature of the country and the ongoing effect it will have on the Ringgit as only RM20 billion of the debt is backed by the Government. Some economists are debating whether this debt contributes to the weakening Ringgit, apart from the fall in global oil prices. A falling Bursa Malaysia and concerns about the rise in the cost of living just worsens the perception that 1MDB is yet another cause of woe. However, the actual relationship between both isn’t very clear. Also, civil servants may need to heed the controversies surrounding 1MDB as one of its subsidiaries has not been able to service a RM4 billion loan taken from Kumpulan Wang Amanah Pencen (KWAP) which pays government pensions. Putrajaya is being forced to service this debt through whatever means it needs to take. How long can 1MDB survive without settling its debt? How will this affect our fiscal deficit if this sovereign wealth fund fails to bring in the wealth but continue to pull the country down the debt trap? Despite the gloomy projections by naysayers, 1MDB’s new CEO, Arul Kanda Kandasamy is confident the sovereign investment fund will be able to repay its whopping RM42 billion loan in time. We’ll just have to wait and see. What do you think will happen next? Share with us your thoughts on this at the comment section below. Don’t fall into the debt trap. Find out how you can pay off your credit card debt with ZERO interest here.